Find out how to Prepare for your PMP exam with the help of the local tutoring experts and instructors who can either visit you directly at your home and provide private lessons to help you get the most of your PMP test preparation studies. Our instrctors can teach students around Norwalk, Darien, Greenwich, New Canaan, Westchester and Fairfield County. Did you know that being PMP certified is not exactly the only thing employes look for? Find out how Tutoring Services, LLC can help students gain specialization in Cloud and Software Defined Networking. Learn tactics of how to code quickly, obtain specialization in Software Defined Networking and become specialized Project Managers with more then just being PMP Certified. Is tutor to expensive for you? Why not get help from self guided test preparation materials find out how, browse instructors and study guides below. If you have read our other recommendations in the past you have probably seen us referencing Rita's book. Our company Tutoring Services, LLC specializes in helping students become PMP certified, upon doing our research we have found that Rita's 8th edition book is constantly being used by multiple students in colleges when preparing for their project management certification exam. During our Research we have found that when preparing for PMP exam most of the students chose this book during their studies. This book along with the latest PMBOK is an absolute must for any student who is trying to study on their own for their project management exam. Rita's textbook is literally almost like a bible in PMP test taking community, it covers major concepts of Project Management PMP exam in a concise format. If Rita's book is almost like a bible then what book is the bible in PMP test taking community? Good question, glad you asked. 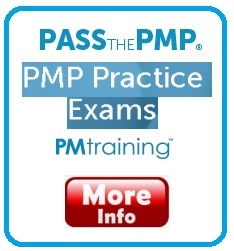 Entire PMP certification test is based on PMBOK standard which is written by PMI. The problem is, PMBOK is really hard to understand if you read it on your own. Rita's book helps students translate the concepts that you will see presented in PMBOK, making it easier to understand the concepts. Step 3. Solidify your understanding with PMP Practice Questions to make sure that you score well on each practice test. Note step 3 is something that you may want to consider only if you are really confident in  preparing for your exam, meaning if you fully understood every concept in Rita's Book then you will have a good chance of passing. What are other alternatives to Rita's Book? 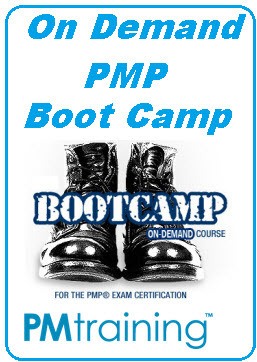 However based on our research we have also found that, many students in addition to studying from PMBOK and Rita's book also chose to study from PMP self guided bootcamp. 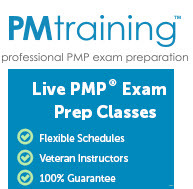 To view what PMP self guided bootcamp covers click here. PMP self guided bootcamp covers many of the concepts that are prestend in Rita's book plus intercombines PMP practice questions, power point slides, mind maps, PM formulas, PMBOK knowledge study guide and many other resources that are included in self guided bootcamp, which technically means, you can purchase single access to this course and technically pass your exam without having to purchase this Rita's book and PMBOK. 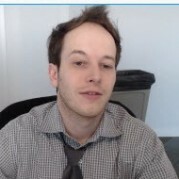 However problem with bootcamp is that it only provides you access for 90 days. Hence if you are planning to study for longer then 90 days, then ideally you may want to purchase this Rita's book and study it on your own, on the train or before you go to sleep every night during consinstent schedule, and only then after finish reading Rita's Book enroll into 90 days bootcamp. Many students chose Rita's book to study for their exam to increase their level of confidence of passing. If you also want to increase your confidence of passing your test, then don't hesitate to purchase Rita's Textbook, the buy now link also provides used books link. Best part about buying this textbook is that after you finisth studying for your exam you can list your book on our sister site usedcollegebooks.net for sale, where you can sell it directly to other students in your college campus, without any middle man fees and get some money back for this textbook. What if I am on the budget? Note if you do not want to spend full price on this book here is what you can do, after you hit buy now link you will be taken to a site that has RENT option. You can rent the book for fraction of the cost of Buy Now price. What you can do is Rent this book for full semester for dirt cheap, and then return your book back. This way you get to still study for your PMP test save money on book and have more money left over for your bootcamp or pmp practice questions. Keep in mind reason why people use multiple methods of studying for PMP test is because bootcamps get to show concepts to students from other side of perspective, making it easier for student to reinforce their PMP skill set. 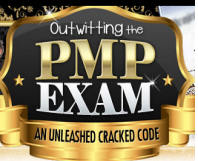 Sometimes style of one author is not good enough to ensure that you don't end up failing your PMP expensive certification test, it's better to secure your self with this Rita's book and combination of bootcamp or practice tests. Hundreds of thousands of project managers understand why PMP Exam Prep is a worldwide best-seller. Years of PMP exam preparation experience, endless hours of ongoing research, interviews with project managers who failed the exam to identify gaps in their knowledge, and a razor-sharp focus on making sure project managers don't waste a single minute of their time studying are THE reasons this book is the best-selling PMP exam preparation guide in the world. PMP Exam Prep, Eighth Edition contains hundreds of updates and improvements from previous editions--including new exercises and sample questions never before in print. 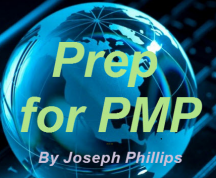 Offering hundreds of sample questions, critical time-saving tips plus games and activities available nowhere else, this book will help you pass the PMP exam on your FIRST try. Rome Wells PMP Study Tip beyond Rita's book. For better learning effectiveness consider studying with more than just Rita's book, but also study with extra additional resources such as flash cards, exam secrets and online Project management course from Edureka. Combine studying from multiple study resources with the local or online PMP Test Prep Tutor for the best results. Continue reading to see which other resources. Study for PMP exam with Rita book & flash cards to better memorize content and exam secrets. 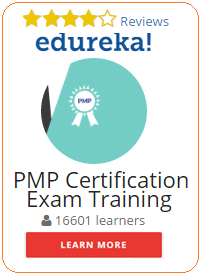 prepare for the PMP Exam learn directly from the live  PMPOnline course from Edureka, but first read my affordability tips. Therefore your other option is to enroll into a live PMP online course where multiple students take the same course as you.